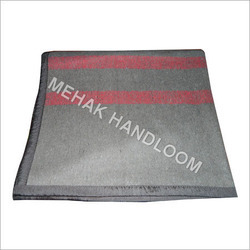 We are a leading Manufacturer of emergency blanket from Panipat, India. Being the figured associations in the business, we are occupied with manufacturing, exporting and supplying a selective extent of Emergency Blanket. Our offered blankets are comprehensively acclaimed for its great and life span among our clients. Apart from this, we make utilization of value endorsed material to design these blankets in sync with principles of value. These blankets are offered in different designs and shades to our clients'. Looking for Emergency Blanket ?